Mahatmaji started another spiritual movement known as the temple entry movement and he wanted to give this facility to everyone irrespective caste distinction. The temple worship is another kind of spiritual cultural movement for the benefit of the ordinary class of people. He himself installed the deity of Sri Radha Krishna at Noakhali when he was there and that is also very significant. The theistic temples all over India are actually the different centres as are the churches and mosques all over the world. These sacred centres were meant for diffusing spiritual education and by this process of spiritual culture the disturbed mind could be trained up in concentration for higher duties which every human being must do. By such education in practice can help man in realizing the existence of God without whose sanction, according to Mahatma Gandhi, "not a blade of grass moves." A part of this movement is the harijana movement. The harijana means the God's man or the godly man as distinguished from the satanic devils. How a man of satanic principles can be turned in to a God's man is enunciated in the Bhagavad-gita. The way of karma-yoga i.e. doing everything for God's sake should be the principles of life. The activities of the general public may not be stopped but may diverted in the manner stated in the Bhagavad-gita. By doing so any one in the world can be turned into a God's man. Thus the harijana movement started by Mahatma Gandhi should not be taken absolutely for the benefit of the bhangis and ___ so to say but it should be utilized for all who have the mentality of the bhangis etc. By all the above process Mahatma Gandhi wanted to establish a greater human society. 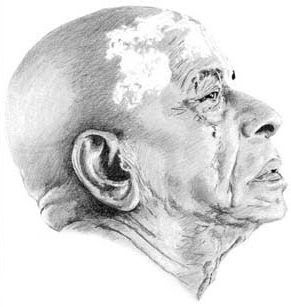 His idea of a casteless society could only be given a shape under the guidance of the principles of Bhagavad-gita. There are men of different mentalities according to quality and work. There are different modes of nature. These natural modes work everywhere in the world and different propensities develop by the psychological modes of nature. The caste system is nothing but a classification of men according to such modes of nature. It is not therefore bound up within the walls of India but this is current all over the world may be under different names. This scientific and natural division of men should be accepted and people should be given chance to become harijana with equal facilities for all. The Bhagavad-gita gives a clear idea of doing this work and the Gandhi Memorial Fund should be utilized mainly for this purpose.